Beech Harmony does exactly that, brings harmony to your bedroom. Integrated sleep, study and storage space. 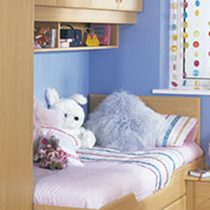 This simple grooved pattern the Beech colour is ideal for any bedroom from child to adult. 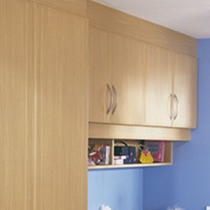 This style is available in many vinyl colours and also in made to measure to maximise your storage space.